No salt, no additives of any kind. Just coarsely ground, roasted peanuts! Your unsalted peanut butter is the best we have found. We have tried several others and they are not as fresh or flavorful as yours. Unsalted peanut butter has a nice peanut flavor, but the lack of salt will take some getting used to. Bertie's pb is "looser" and not as chunky as the generic grocery pb I usually buy. Absolutely the best. . .all natural peanuts and nothing more. This has been a part of my DAILY diet for almost three years. I found no other product to close to this one in taste, completely consistent high quality, and uniform texture from the first serving to the last. I purchase other products for special use or occasions, but this is the flagship item for me. This is the best natural peanut butter on the market by far! Although natural, it is not oily and usually does not require stirring after the initial use. You do not even miss the salt. 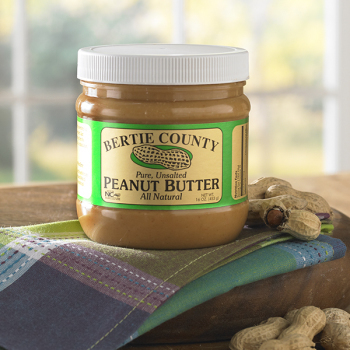 Bertie County Peanut Butter is the best peanut butter out there. I tried to find other peanut butters at the grocery store that compare but none do. They are all either too sweet or too salty while Bertie County Peanut Butter is all natural, JUST peanuts which is what it SHOULD be! I now buy the jars 3 at a time so I never run out!! Love it!! I've been ordering the peanut butter for years. I love the taste and the price is good. 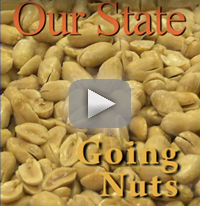 The undeniable, never exaggerated, absolutely not overstated BEST "pnuts" ever! Received as a gift. Before I used it all I ordered three (3) jars. The best peanut butter that I have ever eaten. I've ordered the three pack twice because it is so good, reasonably priced, and fits a low sodium diet. Best peanut butter I've ever tried. Absolutely love that is has one ingredient- peanuts! This company is in touch with it's customers in the most important manner. It cares about the quality of service and products provided. The unsalted PEANUT BUTTER is a superior, unique product which has no challenger. My experience over the years has been perfect. I always look for healthy foods. This peanut butter is ONLY ground peanuts. It is great but only if I added some salt to it then it was perfect! 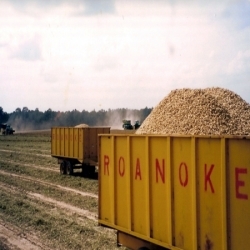 Bertie County PURE Peanut Butter is a unique product. There is no alternative if you want the best. All of the products that I have used for several years have been excellent. 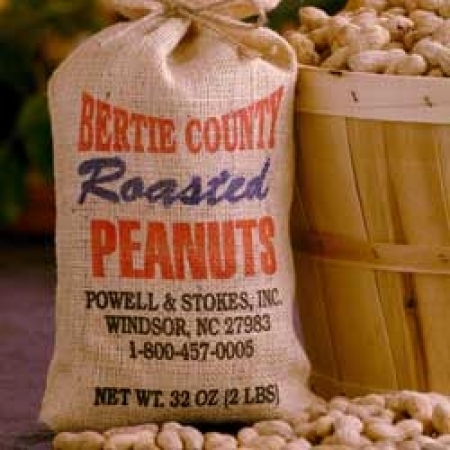 Bertie County Peanuts is also one of the very few businesses who put the interests of customers first and rewards customer loyalty through special communications and personal service. A jewel among stones. It is probably the best peanut butter I have ever had. 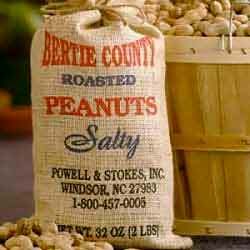 Thoroughly enjoyed my first jar of Bertie County Fried Peanuts. DEE-lish-iss! Noticeably fresher & crispier than canned nuts, without being at all greasy. Will definitely order again - yum. I like the flavor and the wide neck jar. No need to stand on its head to avoid oil separation. We love it. Will order again. Wonderful, natural, all peanuts peanut butter. Unlike "Jif" and the other grocery store products, no corn syrup, vegetable oils and molasses (?) in this. It is simply the very best you will ever taste. Love it, we don't buy store brand anymore in the last 3 years!